Office 365/ SharePoint Online E3 tenant. I have requirement to convert a word document in a document library to PDF once a document is approved via an approval workflow process. 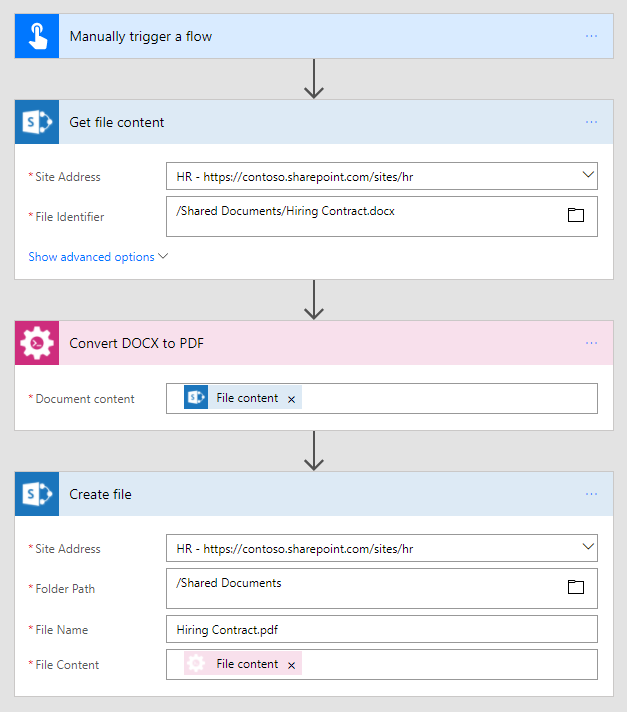 Is it possible to achieve this using the SharePoint Designer Workflow or Using the new Microsoft Flow? You can use Plumsail Documents to convert DOCX to PDF. Please review this article with the example of Flow. Note: Plumsail Actions is a paid solution and I'm a member of the development team. Not the answer you're looking for? Browse other questions tagged sharepoint-online designer-workflow document-converter microsoft-flow or ask your own question.